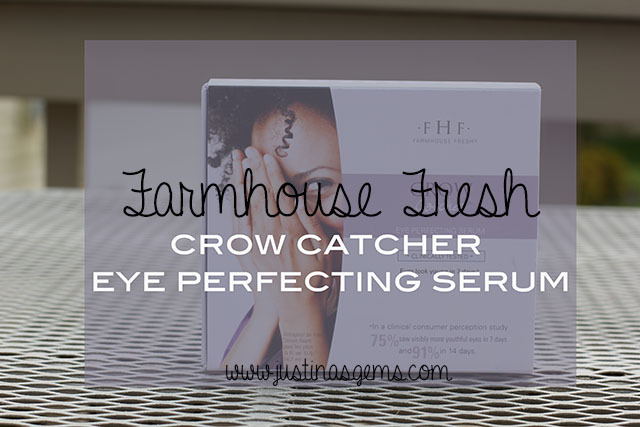 I have loved everything I have tried from Farmhouse Fresh, so when they came out with the Crow Catcher Eye Perfecting Serum, I knew it would be a must have! I asked my mom if she would review it for me since she’s in her 50s and I thought any review on something to be used on crow’s feet would mean more coming from her! 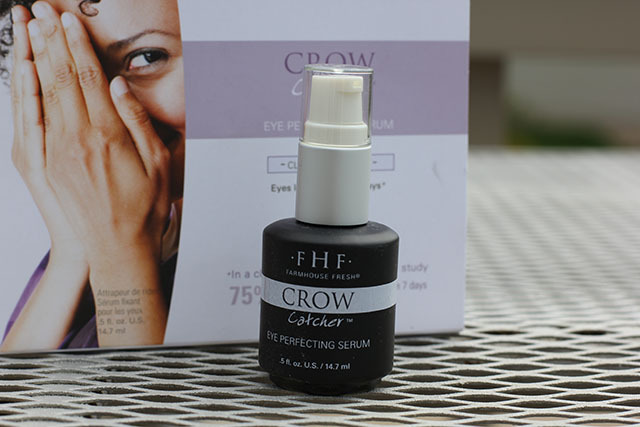 Crow Catcher Eye Perfecting Serum by Farmhouse Fresh is 98% natural, vegan, and gluten, paraben and sulfate free. You could not ask for much more in a product applied close to the eyes! Crow Catcher’s formula is said to reduce the look of wrinkle depth by 58% in clinical tests conducted over a two month time period with women. The majority of participants saw disappearing lines, wrinkles, dark circles and puffiness. 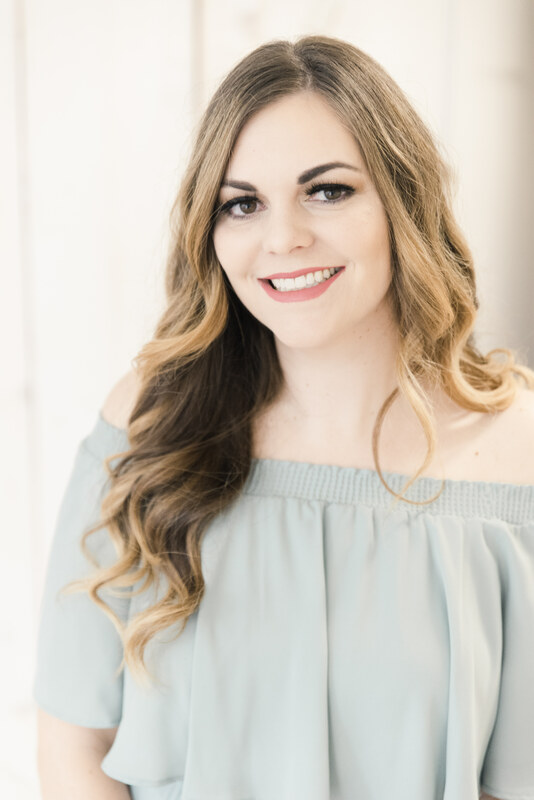 Personally, I have used it twice daily as directed for about two weeks and I feel the results match the product claims, but I am most anxious to compare my own experience to those in the study after a few more weeks of daily use. So far I have noticed a slight improvement in the appearance of fine lines and lessening of dark circles. Crow Catcher looks expensive at nearly $50 for a bottle about the size of a nail polish but so little is needed that it should last quite a long time. Thanks Mom for the review! 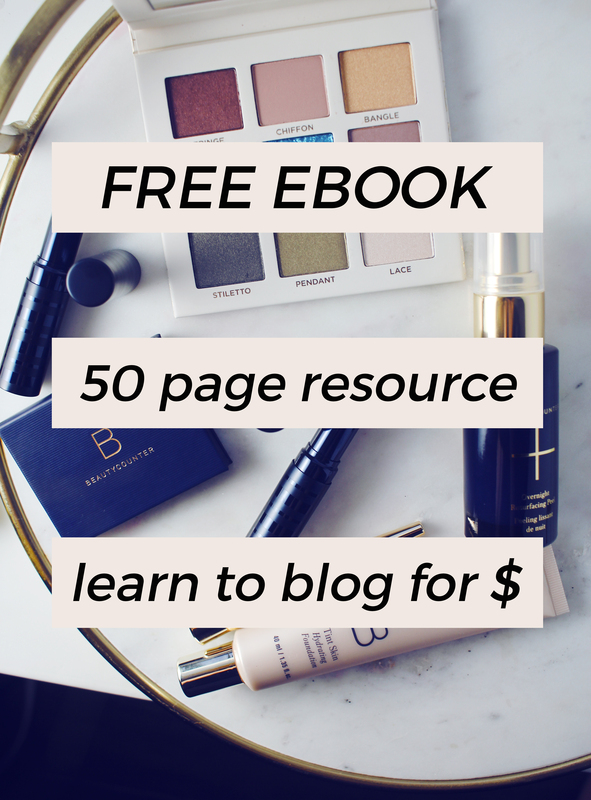 Do you use a product for crow’s feet or dark circles? Share below! I really need this. I hate the dark circles I have. I have never used anything from them but I think I need to. I love that your momma did the review and I can’t wait to hear how she likes it. That’s awesome after a few weeks see saw a difference. Great post girl! My mom would love this! I love that you got your mom in on the action – so cute! I’ll try anything to help with dark circles… I’m plagued by them! My college-induced lack of sleep routine definitely is cause for an eye product like this one. Ohhhhhhh I’ve been looking for a new eye cream or serum! i totally need to try this product! Need to try this. Never to early to start using eye creams right?! I’ve heard great things about this brand – a little pricey but sounds like a must have eye cream. This is something I would definitely try out!! Wow $50 for such a small bottle? It must be a very good product for that kind of price tag.